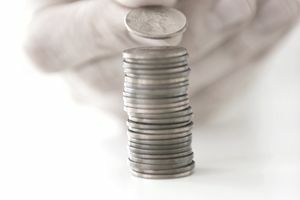 One of the most consistent mistakes a significant minority of inexperienced investors make is being drawn to a type of common stock known as penny stocks. At first glance, the reasons for this (ultimately dangerous) appeal are legion but almost always come down to the fact that penny stocks appear to fluctuate tremendously in price, which, they convince themselves, should lead to an opportunity to generate a very high return quickly. Unfortunately, as with all things in life, the truth is not quite so simple. It often turns out to be precisely the opposite as penny stocks can wipe out your savings in the blink of an eye. From large ask/bid spreads to illiquidity that can make it difficult to enter or exit a position, penny stocks are fraught with dangers that even the most experienced investors avoid. This overview was written to help you understand some of the biggest risks. At the very least you should walk away with an understanding that buying these securities has more in common with playing slot machines in Las Vegas than a disciplined investment program. On average, you are likely to lose significant amounts of money that will set you back on your journey to creating passive income so you can live off of the cash generated by your portfolio. The phrase "penny stock" is used to describe shares of a company that trades for very low amounts - typically, between $0.01 and $2.00 or so, though there are no specific hard and fast rules. Some institutions consider penny stocks anything that trades for less than $5.00 per share. These companies often, but not always, have very small market capitalizations, little to no profits, and minimal operations. They almost always trade on the pink sheets or over-the-counter markets because no respectable stock exchange will permit them to be listed. Under rare circumstances, former blue-chip giants can fall from their lofty heights, becoming penny stocks. The last time this happened on a widespread scale was during the Great Recession of 2008-2009 when many financial institutions and investment banks went broke after being over-leveraged. Those that didn't go bankrupt but still wanted to retain some semblance of respectability were forced to undergo reverse stock splits to keep their share prices above the penny stock thresholds. The reason most people seem to be drawn to investing in penny stocks is that these companies fluctuate wildly in very short periods of time. In a single week, shares might go from $0.25 to $1.50. The naïve investor thinks, "Wow! If I had put $10,000 in that, I would have been able to turn it into $60,000 almost instantly!" It's an illusion, make no mistake about it. Unlike giant blue-chip stocks which enjoy deep liquidity, some of these companies might not have any buyers or sellers for days at a time. If you were to build a position at $0.25, then go to sell it at $1.50 when that price showed up on your brokerage statement, there might not be any buyers! You could put in a sell order, and it would just sit there, day after day, doing nothing. To illustrate this point, here's a penny stock to use as a real-world example. For the sake of protecting the ignorant, the name and ticker symbol of this particular firm have been redacted. If you bought the shares at $0.15 this morning, then tried to sell them at $0.18 this afternoon, you probably couldn't have done it. The actual value of the total amount shares trading hands each day ranges, on average from $239.56 to $1,317.58. If you showed up with $5,000 or $10,000, you couldn't get your order filled without offering a price substantially above the current market because there aren't that many sellers out there waiting to dump their stock. You might have to put in an order at $0.20 or $0.25 to attract their attention. The opposite is true if you were a seller. If you had built up a position worth $10,000, you'd have to spend many, many days selling a tiny bit at a time unless you wanted to drive the price down substantially. Otherwise, you could put the entire block on the market for a much lower price - say, dropping it to $0.12 per share - and hope someone stepped in and bought it from you. On top of this, if you purposely attempted to influence the share price by placing orders in an abusive way, you are very quickly going to be caught by the Securities and Exchange Commission, face large fines that more than offset any potential gains you might eke out of the process, and, if you committed some particularly egregious sin, possibly even go to jail or be banned from working in the securities industry for the rest of your life! The reality of the situation is that there is no intelligent reason an investor needs to trade penny stocks or hold them in any type of portfolio. The risks are simply too great to offset any perceived benefits. While it may seem boring, a diversified, low-cost index fund is a superior choice for many new investors. In practically all rolling 25 year periods, with dividends reinvested, such an investment philosophy has produced nominal pre-tax returns of almost exactly 10% per annum, leading to large increases in real wealth over time.